Dive into the clear waters of Rainbow Reef! 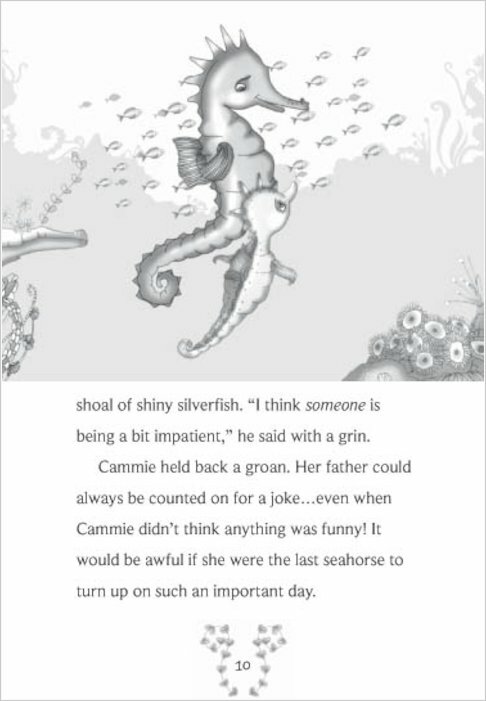 Little Cammie Sunbeam is thrilled to be joining the Pearlies – the most amazing club in Rainbow Reef. 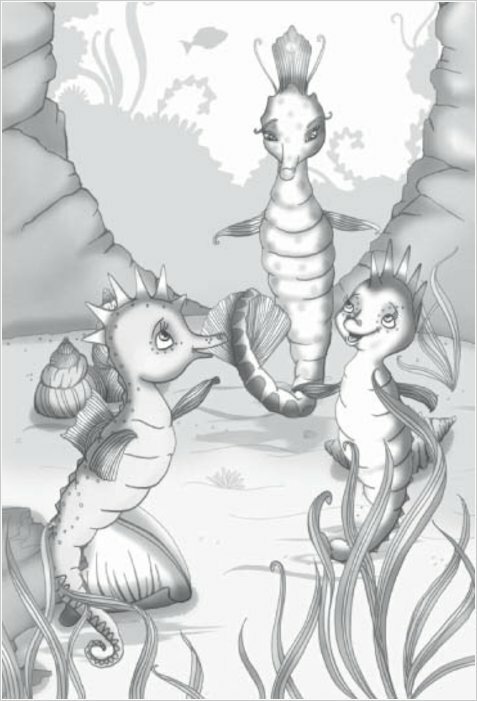 As Pearlies, young seahorses have a duty to do their best, help other ocean creatures and do a good turn every day. 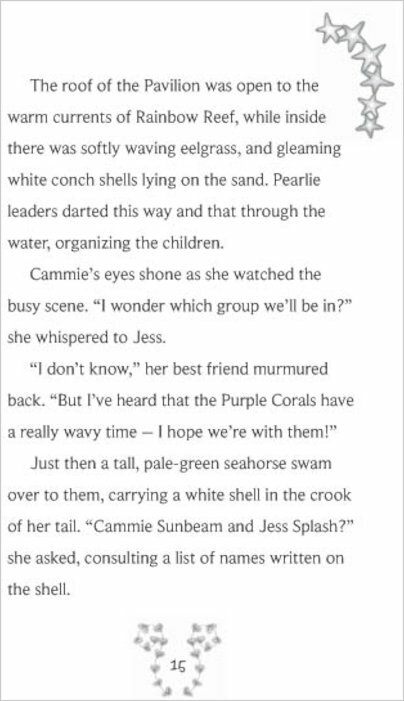 Now Cammie must earn her Proficiency Pearls by completing six special tasks. 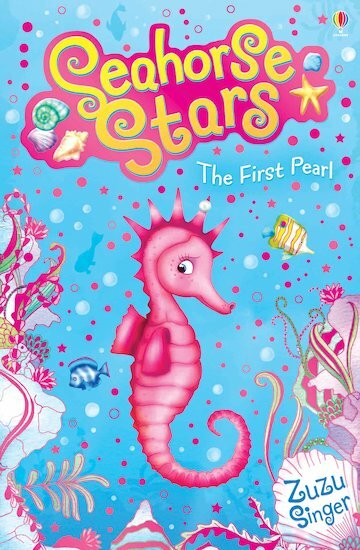 If she succeeds, she can become a Seahorse Star – a group only the best Pearlies can join! 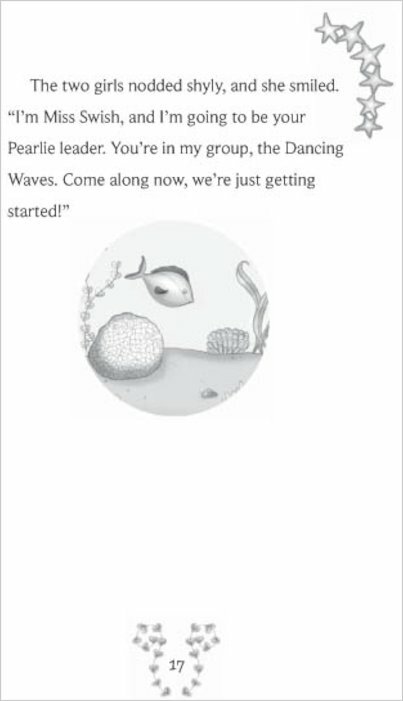 Her first task will be to earn her Coral Comping pearl. Has she paid enough attention to leader Miss Swish – or will she find herself in at the deep end? 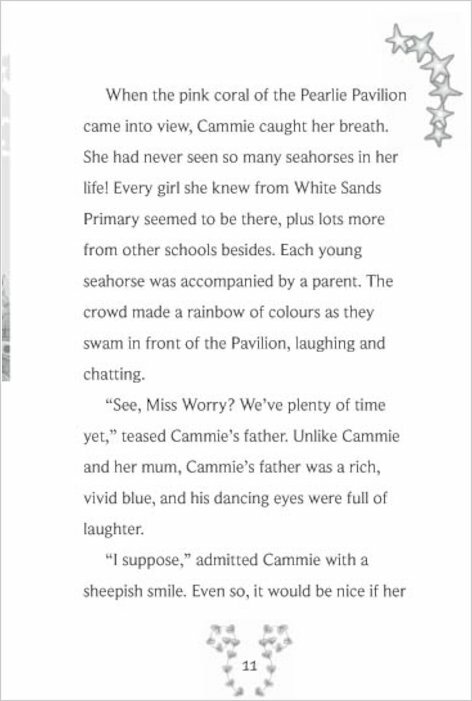 I loved this book because it was full of adventures. 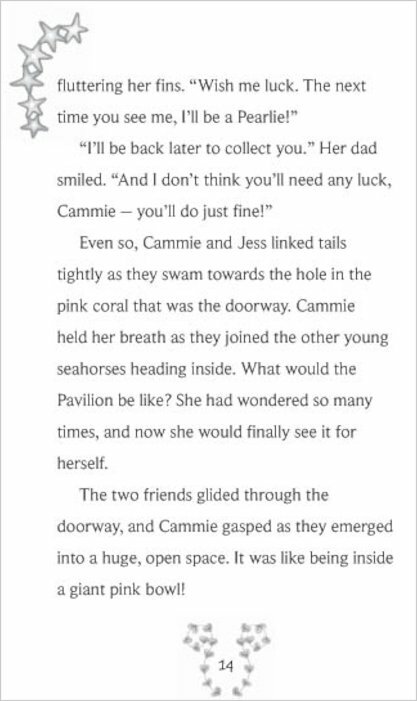 It had some sad parts when I felt very sorry for Cammie but in the end it was happy. 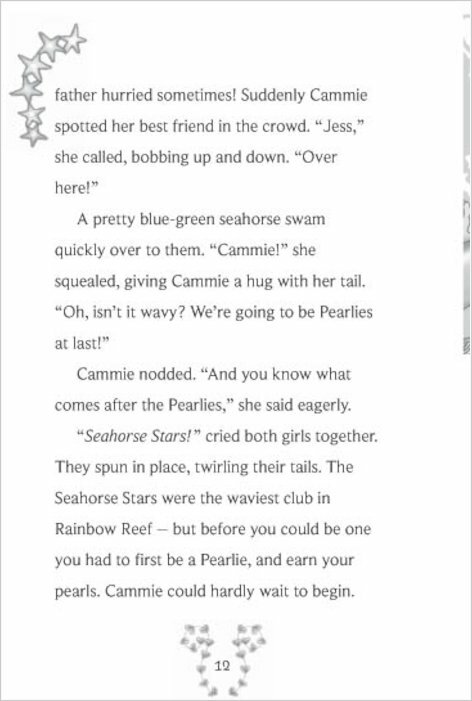 It made me smile and feel happy when Cammie got her First Pearl. 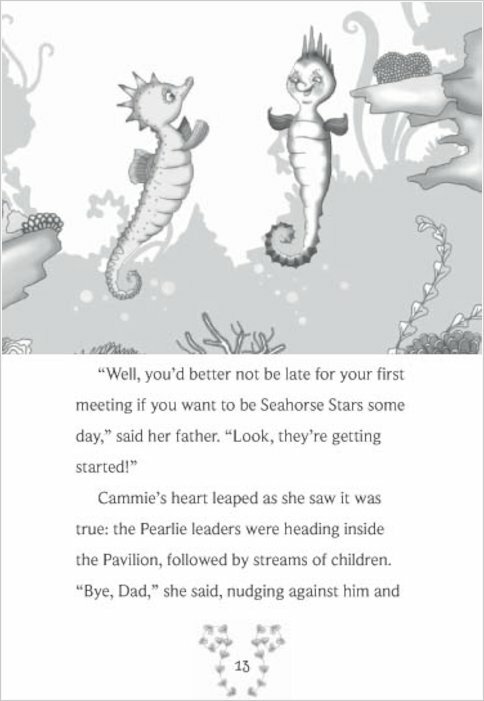 Cammie was the main Seahorse and she was really nice and clever there was a Seahorse called Corinetta who thought she was the best Seahorse but Cammie showed her everyone was good. This was a really nice book to read myself. 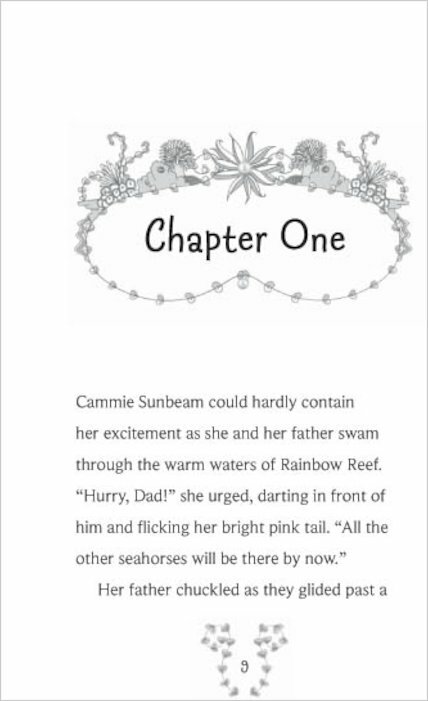 It had lots of pictures in it to look at too.I am looking forward to reading about Cammies next adventure and her next Pearl. I love this book because it is got good drawings which i love to draw and it got amazing wrting and that why i love this book.